The return of the bestselling, award-winning economist extraordinaire! Chronicles provides Piketty's analysis of the financial crisis, of subjects and individuals, from productivity in Britain to Barack Obama. The very best of his writing for Liberation from the past ten years, translated into English for the 1st time, it will cement his reputation as the leading thinker in the world today. 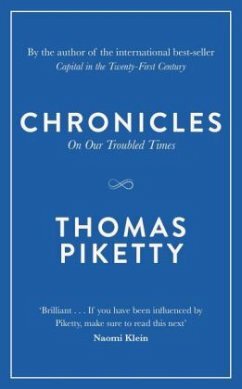 Thomas Piketty, geboren 1971, ist Professor an der Pariser École d'economie. 2013 erhielt er den Yrjö Jahnsson Preis der European Economic Association.